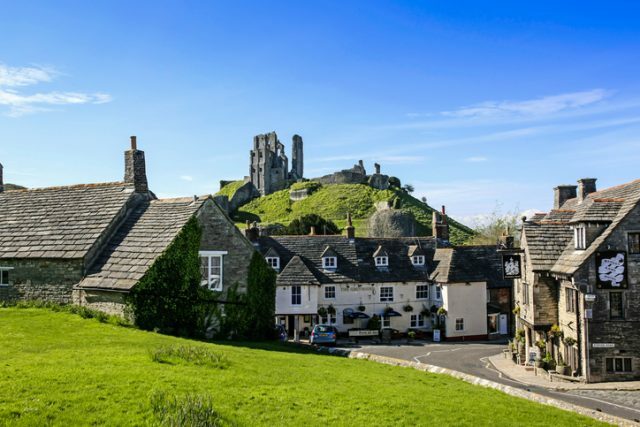 Corfe Castle is a stone stronghold that sits upon a hill on the Isle of Purbeck, a peninsular on the south coast of England. 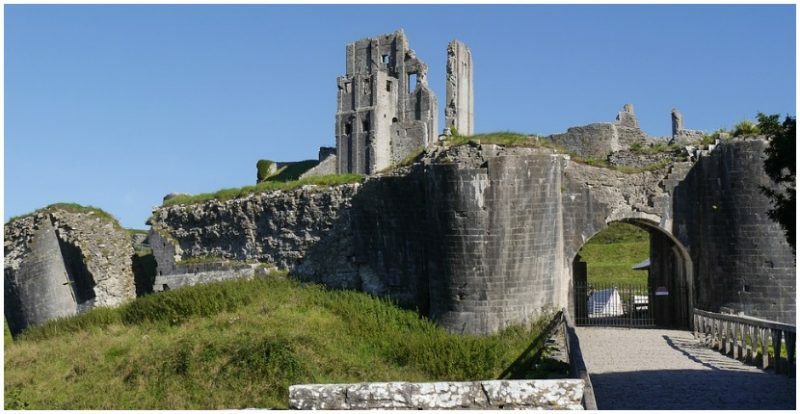 Built in the 11th century by William the Conqueror, it remained in control of the Crown until the 16th century when Queen Elizabeth I sold it to the Lord Chancellor. It was then bought by Sir John Bankes in 1635. 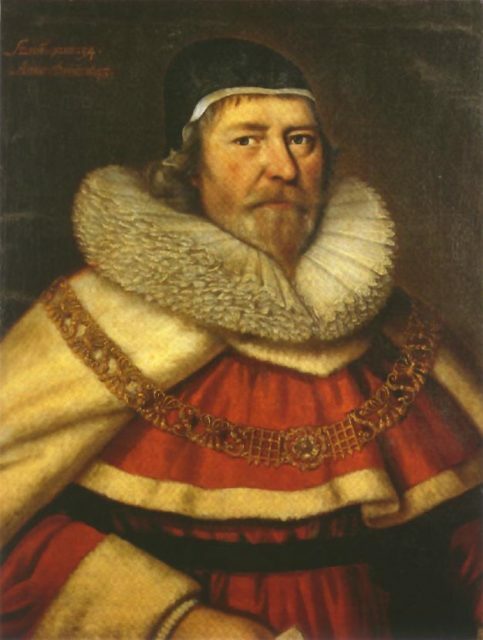 Sir Bankes’ career would include the honored positions of Attorney General to King Charles I, as well as Lord Chief Justice of the Common Pleas, the second-highest court in England. The wife of Sir John Bankes was born to the Esquire of Ruislip in Middlesex in approximately 1598. Also named Mary, their only daughter married in 1618, becoming Lady Bankes. The couple had a prolific marriage, producing four sons and six daughters. In 1642, the English Civil War broke out. It would last for almost a decade between Royalists, supporting the reign of King Charles I, Lord Banke’s sovereign, and Parliamentarians, who sought executive administration in the form of a parliamentary government, opposed to a supreme monarchy. Sir Bankes was ordered off to London and Oxford for the war effort. Lady Bankes was left at home with her children and servants and only five men in the last Royalist holding on the Dorsetshire coat. In May the following year, 40 Parliamentarians, also known as Roundheads, came to demand surrender of the castle. Lady Bankes refused and the small force within the castle managed to repel the Parliamentarians. They came back a month later, however, having mustered up a force of between 500 to 600 troops. This unnecessarily large number of men against a considerably understaffed stronghold wasn’t just for show, however. A brutal and long siege took place. 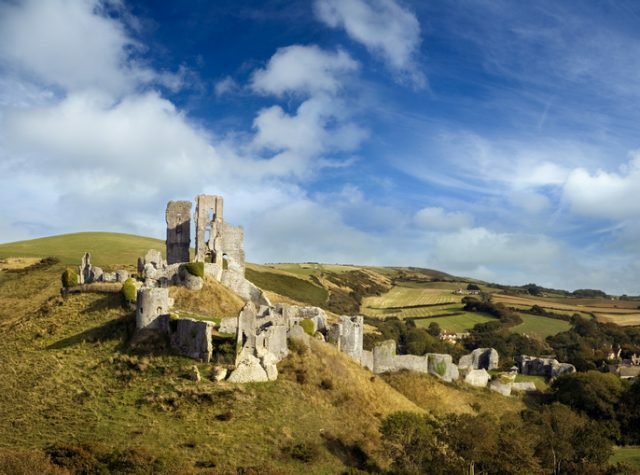 Despite being blockaded, Lady Bankes managed to resupply and strengthen Corfe Castle’s defenses up to a mere 80 bodies. The siege would go on for a whopping three years. At one point only a handful of men were left to protect the castle. 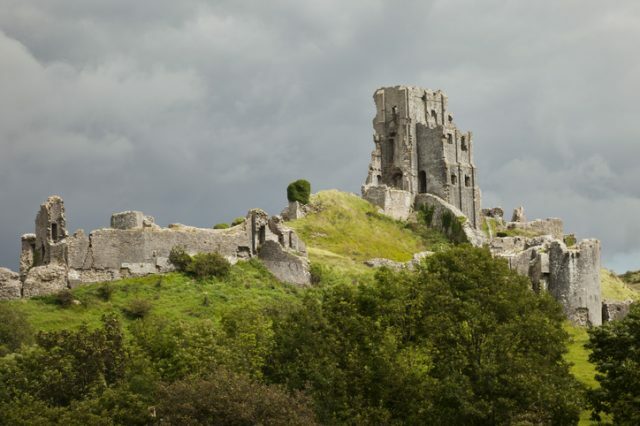 From the upper levels of Corfe Castle, Lady Bankes and her motley crew defended their home by tossing hot stones, coals and embers from atop the battlements. 100 men succumbed to this curious defense in one month alone. During the years of facing attack and threats to her life, Lord Bankes passed away, leaving Mary a widow in 1644. The siege of the castle came to an end in 1646 when one of Lady Banke’s officers, Colonel Pitman, betrayed the castle. He lead in a force of Parliamentarians who had disguised themselves as Royalists. Once the men gained access to the stronghold, Lady Bankes had no choice but to surrender. Lady Bankes lost the battle over her home, and the Royalists lost the war as well as their monarch. The Parliamentarians placed Thomas Cromwell at the head of the English government and the heir to the throne, Charles II, sought self-enforced exile in France. For the time being, the Royalists were defeated, but Lady Bankes faced no retaliation or threat to her well-being. 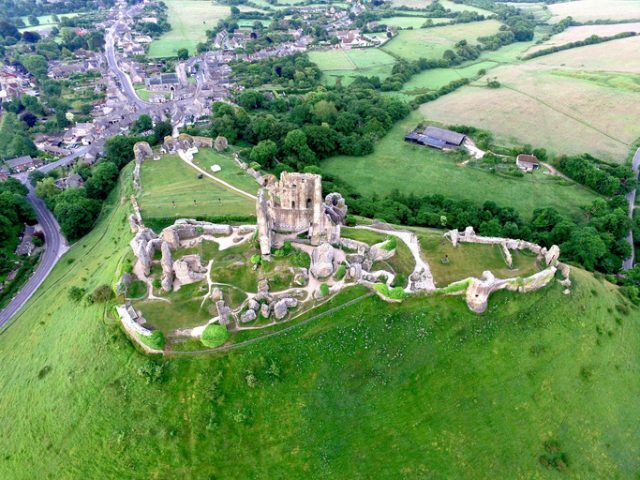 The ruins of Corfe Castle. Built by William the Conqueror, the castle dates to the 11th century. Located on the Isle of Purbeck in Dorset. Her sons bought her the manor at Eastcourt which would remain in the family and, luckily, take part in no battles. 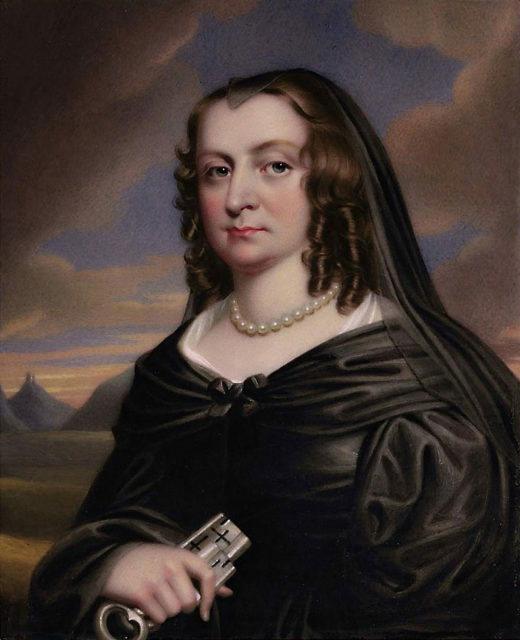 Lady Mary Bankes died on April 11, 1661. She was buried in St. Martin’s Church in Ruislip.